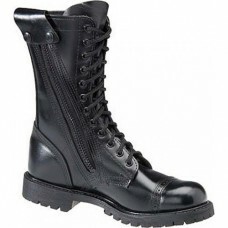 Military personnel need strong, dependable combat boots, whether you are in the barracks or out in the thick of the fight. Corcoran has you covered with these high shine, ten inch combat boots. These unlined boots are some of the best a soldier can get. Corcoran knows what an officer needs for combat. The lug sole on these boots will help you stand steady in a variety of locations and situations, be they forest, desert, urban, or rural. A cushioned insole reduces the stress placed on your feet with every step; so marching or long treks won't be murder on your arches. A steel shank is also added in to reduce the impact of your steps. 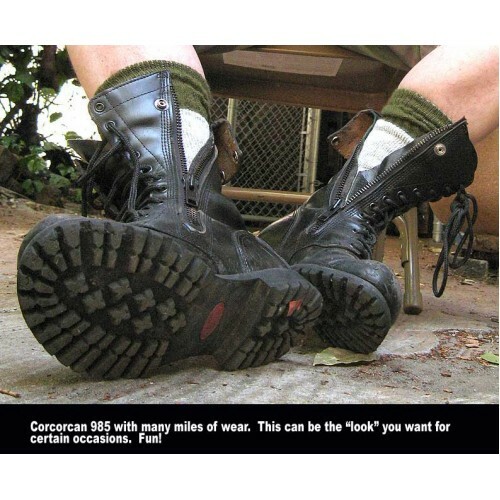 Corcoran designed these boots around comfort and functionality. 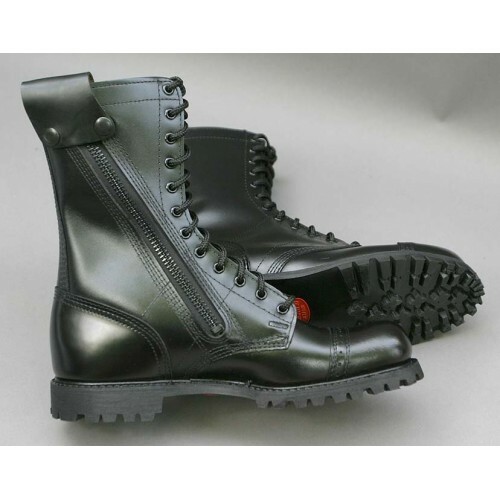 A heavy duty YKK side zipper and zipper flap guard has been added into these boots to allow you to get in and out of them at a moment's notice, a fantastic addition when you need to get going and get into the heat of battle quickly. Not only a military boot, this boot is popular with both police and civilians. The high shine leather gives you a polished and sleek look. This leather boot can be used both in combat and in everyday life, meaning you will get your money's worth out of them! For a great all-around boot, check this one out today! If you need something a little dressier, check out the Corcoran Dress Sole Combat Boot for a more formal look! Corcoran Style Number: 985 Made in U.S.